With the rise of online success, it is no secret why people want to work from home: the ability to create your own hours, the ability to be your own boss and the ability to stay at home with your family. One of the easiest ways to work from home is to learn how to work from home in data entry. Data entry is one of the easiest professions to get into online and it is the one that most people tend to look for opportunities first. The truth is, there is a way you can make money online with data entry, you just need to know how to get started! Data entry is the means to input data, alphabetically, numerically or symbolically into a company’s systems. As a data entry worker, you will be hired to verify or edit that data before inputting into a company’s system. What Skills Do You Need to Work in Data Entry? What Equipment Do You Need to Start Data Entry Work? A home office-a place where you can work in peace and with virtually no distractions. Access to high speed Internet-slow Internet can have an effect on your work ethic. Number pad on a keyboard-it will make data entry work easier. Ability to access data processing programs. One of the best and most legit ways to find legitimate data entry jobs that you can work from home are on freelancing websites. Freelancing websites are portals where you can find legitimate work from home jobs where companies hire you as a sub-contractor and you are paid upon an agreed upon price before commencing work. On freelancing websites, you can find data entry jobs that range in price from a few cents to even up to $15 an hour. Ultimately this paying price varies depending on the company you are working for and the complexity of the job. Best of all, you can be paid directly via PayPal or a direct deposit into your account. A reliable freelancing website that has been around for years. Payment is made via PayPal or a direct deposit into your bank account. It is free to create a profile and to apply for jobs. You can apply today and start working the same day as well. This freelancing website has been around for just as long as UpWork (formerly oDesk) has been around. Based in Australia, this particular freelancing website is home to a variety of freelancers, ranging from computer programmers to writers. Payment is made via PayPal or a direct deposit into one’s bank account. Fiverr.com is a great website to use whenever you are trying to work from home for yourself. You can create “gigs” which are essentially services that you can provide to clients who need that specific service. As a data entry specialist, you can create a data entry gig starting at whatever price you set and be hired by virtually any client that comes across it. There are plenty of data entry specialists that are making a living using fiverr.com. As long as you promote excellent customer service skills and charge for your service fairly, becoming a data entry specialist on the platform will become a reality for you. Flexjobs is a relatively new job site that recently popped onto the scene a few years ago. What they are most known for is for helping people find work from home jobs from legitimate companies. They are a highly reputable job site and one of the most recommended around. Indeed, unlike Craigslist, is an online job site where you can find jobs from legitimate companies. You can also find plenty of telecommuting jobs as well. Simply upload a resume and cover letter and let companies find you and your data entry skills. This company is one that pays independent data entry contractors on a per piece basis. Keep in mind that most of the time, jobs are not available often so it is a great company to stick with only as a part time basis only. This is an online data entry and virtual office service provider located somewhere in South Carolina. Aside from offering online transcription work, this company also provides data entry jobs, customer support and secretarial services right from the comfort of your own home. This is a company that hires for data verification and data entry services. Each of the positions are available based on location. Once hired, you will be trained by the company for a minimum of a few weeks before actually completing the job. Typically, the company pays between .10 to .14 per form, depending on the form you are completing. It will also depend on how fast you can type. Payment is made weekly and can be paid directly through direct deposit. The Smart Crowd, once called the Virtual Bee is a crowdsourcing company online that hires independent contractors for client data entry work. This company typically hires for $5 to $6 an hour and is made on a per piece basis. While the company does pay weekly, this is a company that has a minimum payout of at least $30. Sig Track is an online crowdsourcing company that hires freelancers to process voter registrations and signatures for petitions. Freelancers are paid on a per piece basis and are typically paid strictly via PayPal. Amazon Mechanical Turk is a popular online job opportunity that allows people to earn money doing small tasks on a daily basis. While you may be doing small data entry work, you may even have to do some writing work and evaluation of the search engines. However, on average don’t expect to make anymore than $3 to $4 an hour and you will be paid per piece. Most workers are paid via a direct deposit transfer and you must have no less than $1 in your account on Amazon. This is a company that hires data entry specialists that hire based on location only basis. Some of the positions available often train directly on site so you will need to be close to each hiring position before applying. This company typically pays between $10 to $10.50 an hour. Hopefully by now you have found out how to work from home in data entry and have even learn who is hiring right at this moment. 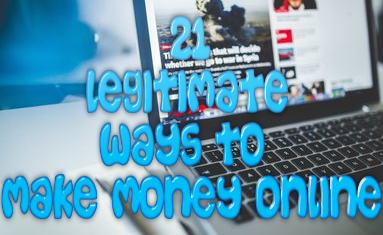 Now, all you need to do is take what you have learned in this post and put it into practice by applying for a few of these companies yourself and finding legitimate work from home data entry jobs to start making the money you deserve to make. 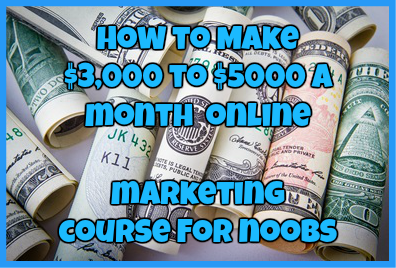 ← How to Make Money by Playing Video Games-Get Paid Like the Pros!